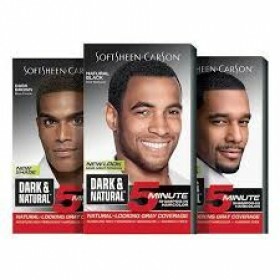 Creme of Nature Moisture Rich Color for Men Creme of Nature’s Moisture-Rich Hair Color for .. DARK & NATURAL HAIR COLOR Dark & Natural 5 Minute conditioning permanent h..
JUST FOR MEN MUSTACHE & BEARD 5 Easy Minutes Blonde Brush-In Color Gel Pene..
JUST FOR MEN SHAMPOO-IN HAIR COLOR Gray target technology: Targets only the gray hair. ..